Drink this healthy tea with herbs for calcium to help you get your daily nutritional requirement. Calcium has a number of important functions in the body such as helping to build strong bones, maintaining a healthy heart and supporting the nervous system. It is recommended that we get between 1,000 to 1,200 mg of calcium per day. For many of us, getting enough calcium can be challenging and we often turn to supplements for an adequate supply. However, calcium supplements have been controversial so it is often recommended to look for dietary sources. Many plants are naturally full of calcium making herbs for calcium an ideal dietary source. A cup of this tea contains roughly the equivalent calcium as a cup of milk. Drinking two cups a day will provide one half of your daily requirement. This tea has the added benefit of containing sufficient amounts of magnesium which is necessary for calcium absorption. In fact, these herbs contain many vital minerals as well as vitamins. It’s important to keep your intake of nutrients in balance. The tea is also an excellent alternative to milk for vegans and those with lactose intolerance. When using herbs for calcium, be sure to use dried. 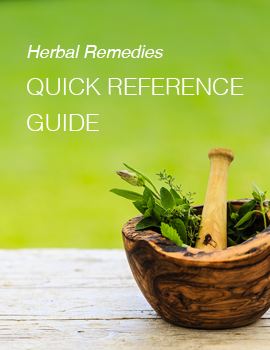 Dried herbs have roughly seven times the amount of calcium as fresh. This is because the fresh herbs contain a great deal of water. You can make up a large batch of this recipe and store it in a jar with a tight fitting lid. Boil two heaping Tablespoons of herb per two cups of water for 40 minutes, then strain. You can make two days worth at a time by doubling this amount and storing the second day’s tea in the refrigerator. You can drink it cold or reheat it on the stovetop. Alternatively, place four heaping Tablespoons in a quart-sized jar and fill to the top with hot water. Cover the jar tightly and let infuse for at least 4 hours up to 8 hours (overnight). Strain, and store half in the refrigerator for the following day. I’ve been enjoying this immensely as an infusion and keep the blend on hand. It is excellent — thank you! Thank you for this recipe, Elizabeth. Indeed a good reminder to get enough calcium. Could I make this tea with fresh ingredients? You can use fresh herbs but since they contain so much water, you will not get as much calcium from them. Hi Elizabeth, which of your online courses do you have a videos showing how you make your recent posts because I will like to add it to my collections . I don’t have these specific recipes on video, however my Home Herbalism Certificate Course contains dozens and dozens of videos of me making other various recipes.